The Severum cichlid also known as the Heros serverus. 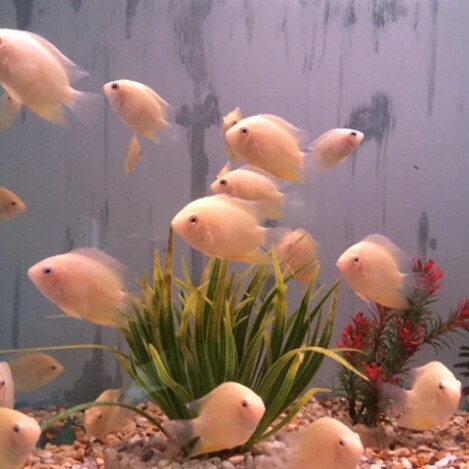 They are best kept in water parameters of PH level of 6.5 – 7.0. Temperatures of 23 – 26 Celsius / 73 – 79 Fahrenheit. They can grow up to 8 inches fully grown. Severum cichlds can be aggressive fish as they get bigger, they are best kept with bigger more aggressive fish. They are best kept in either pairs or small group as they do get bigger sizes. There are a few different colours you can get, like the deacon severum this is a green, brown colour with dark lines down the body. The golden severum, this is just a plain gold colour with some times dark lines down the body. 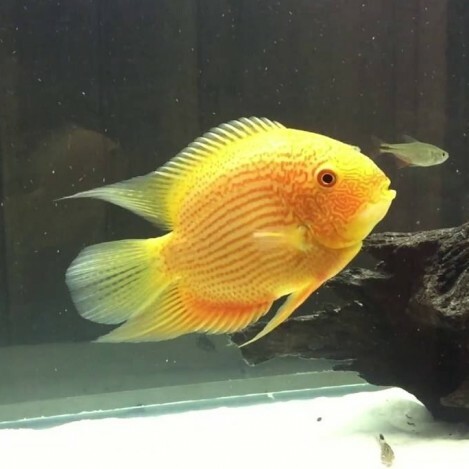 Or the red spotted golden severum, these are a very popular and beautiful fish, there are golden colour with bright red dots on there body. They will eat most things you put in the tank for them, but they do require frozen and live foods in there diet. They will eat any food you put in the tank. They do need a treat of frozen or live foods in there diet.